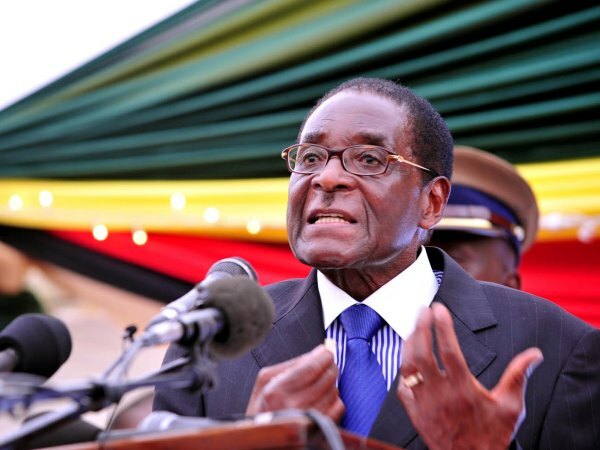 Zimbabwe President and Africa's oldest leader Robert Mugabe marked his 90th birthday receiving medical treatment in Singapore Friday, reigniting rumours that the man who has ruled his country since independence could be in ill health. While Mugabe's aides insist he is fighting fit, his absence on his birthday from the country he has ruled for nearly 34 years -- ostensibly for eye surgery -- has sparked speculation. He is not expected back in Zimbabwe until shortly before an elaborate stadium birthday celebration on Sunday that is said to be costing around $1 million. Meanwhile dozens of state enterprises, government ministries and supporters showered praise on the veteran leader Friday, with over 20 pages of advertisements in the state-owned newspaper The Herald. "Long live our president," one tribute read, while others hailed Mugabe as an "icon and pillar of inspiration", "beacon of excellence" and "selfless leader". The newspaper also dedicated 16 pages to 90 of Mugabe's quotes over the years, from the liberation struggle to his digs at the West and gays and lesbians. The man who took power in 1980 on independence from Britain has long been rumoured to be seriously ill and attempted to scotch that rumour in an interview televised by the state broadcaster on Thursday. "As you can see (I am) still fit as a fiddle," he told ZBC, while admitting "the left knee is beginning to be a bit of a trouble". He has travelled to Singapore for medical checks several times in the past five years. A leaked 2008 US diplomatic cable cited then central bank governor Gideon Gono as saying Mugabe had prostate cancer, a claim denied by officials. Whether true or not, the run-up to this year's birthday bash has seen ample evidence that the politburo of his ruling ZANU-PF party are readying for "life after Bob". In the pre-recorded interview on Thursday, Mugabe insisted talk of succession was unnecessary. "Why should it be discussed when it is not due? Is it due?" he asked. "The leadership still exists that runs the country. In other words I am still there." Such discussion was allowed but led to factions and divisions in ZANU-PF, he added. "When the day comes and I retire, yes, sure, the day will come, but I do not want to leave my party in tatters. I want to leave it intact." Mugabe also used the interview to castigate groups supporting would-be successors, accusing them of stoking factionalism. It is "terrible even to have your name mentioned as leader of a faction. It is shameful," he said. During his 34-year rule Mugabe has studiously avoided naming a successor and often moved against those, like independence hero Joshua Nkomo, who fly too close to the sun. Possible successors Vice President Joice Mujuru and former defence minister Emmerson Mnangagwa have strenuously denied they are potential candidates. Born on February 21, 1924, Mugabe won disputed elections last year when he beat his arch-rival, former prime minister Morgan Tsvangirai. Last month, Mugabe, the only survivor amongst his immediate siblings, credited "God's will" for his longevity. Political analyst Earnest Mudzengi said with his advancing years Mugabe seems to increasingly feel a need to reshape his image. "At 90 Mugabe must be concerned about his legacy as a person and leader. There is a need to do something urgently for his legacy," Mudzengi told AFP. But factionalism and signs that the already struggling economy is heading for more pain will hasten that urgency. "We are expecting a lot from his government in terms of economic turnaround, fighting poverty and corruption," said Mudzengi. Annual birthday celebrations have been used to boost Mugabe's image, in what critics describe as a bread and circuses strategy to distract Zimbabweans from their daily troubles. Sunday's event will see thousands gather at a stadium in Marondera, 75 kilometres (45 miles) east of the capital. As in past years there will be music, dance and food, with speakers paying tribute to Mugabe, who will later address the gathering. A soccer tournament dubbed "Bob at 90" is currently under way. Last year's event saw a giant cake and gold coins minted in Mugabe's honour. I'm a 49 year old woman looking to meet men between the ages of 48 and 65.